The biggest issue with the “fish out of water” framing device is that the stories generally feel off and combative, focusing more on the clashing cultures instead of dipping a toe from each foot into either pond. 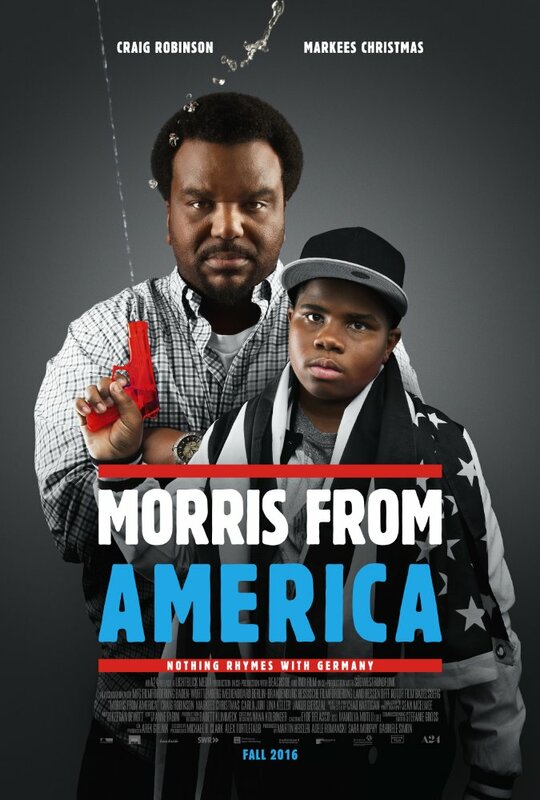 Morris from America attempts the latter, depicting a story of growing up that’s literally outside of the comfort zone while maintaining a side by side comparison instead of the typical bullheaded versus competition. I think this is the kind of movie where you should temper your expectations before going in. It’s funny but not hilarious, dramatic but never weepy. Morris from America doesn’t really stand out much besides being smart enough to sidestep convention every so often. What makes it memorable is the distinct perspective it establishes from the get go. 13-year-old Morris (Markees Christmas) greets us in the film’s first frame. 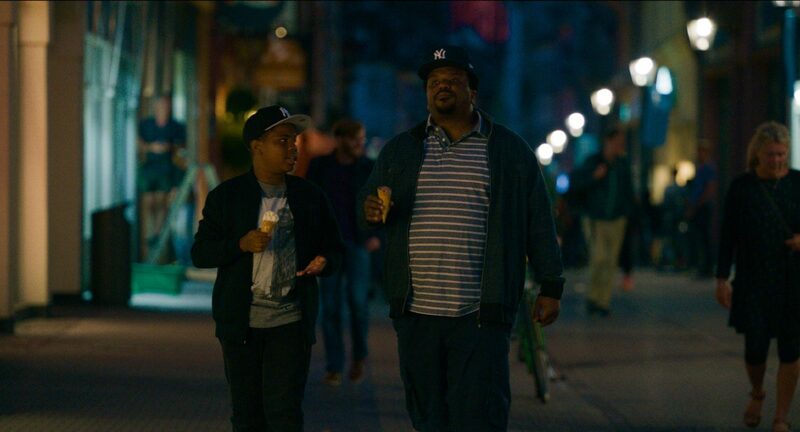 He’s vibing to 90’s hip hop with his dad Curtis (Craig Robinson). Morris is bored by the minimalism of the beat and the rhymes, to which his dad tells him to go to his room. The crime? “Because you like terrible music” Curtis says in a mere two-minute scene that sets up the entire father son dynamic. Quite a promising start and an accomplishment. These two are friends and comrades in a battle against assimilation, wanting to fit in but still be true to themselves. Relocated to Heidelberg Germany for Curtis’ job on a professional soccer coaching staff, it’s always evident that they are of the same time but not of the same place as the local residents. For Morris, the difficult task of growing up is made even harder. For the widowed Curtis, the challenge of being a single parent is multiplied. Their shared journey makes this flawed film click. 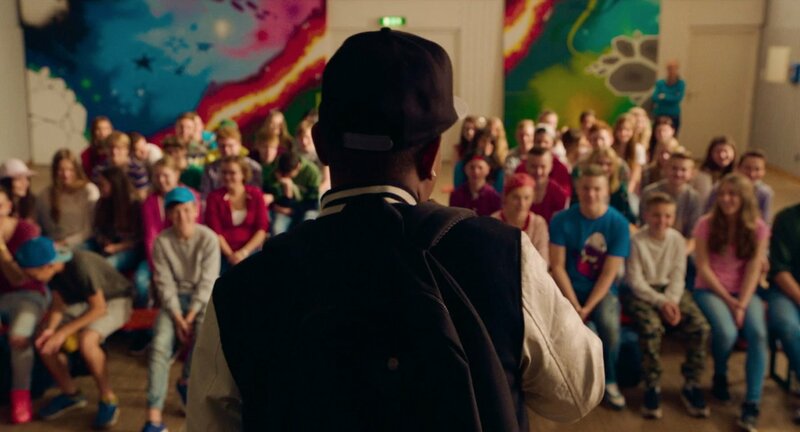 Because it’s a story about a young boy entering adulthood, we know Morris from America will have a romantic tinge. It’s summertime in Germany with days needing to be filled, so Morris heads to the rec center. He hasn’t had enough lessons with his tutor Inka (Carla Juri) to be fluent in conversation, instead left to sit at the picnic table alone and write raps while everyone else interacts. Then he sees Katrin (Lina Keller). She’s two years older, cute, rebellious. Morris is drawn to this Dame for her looks; she’s interested in exploring his difference. As is normally the case, the woman has complete control in the relationship, generating Morris’ hopes for more while simultaneously placing him in the friendzone. The success of the film lies in the two believable main relationships, although further examination has me struggling to find much of a theme. In his last film This is Martin Bonner, writer/director Chad Hartigan told a similar story – albeit with much different characters – about a misunderstood individual finding himself in an unknown landscape. In this instance it doesn’t really seem to resonate. Hartigan has a fairly grounded story that he’s written with surprises but directed in a way that makes its unpredictability feel capricious and eccentric, oddly using iris wipes and rousing interactions with inanimate background objects. The creative decisions are bold but not very effective. Morris from America has a great central duo though, and it’s because of the strong performances from Robinson and Christmas that the movie doesn’t fully slip and slide away into cheeky independent filmmaking tendencies. Hartigan’s picture is easy to like and just as easy to imagine being better.